Say Goodbye to plantar fasciitis pain. Discover the fast, painless way to relieve the pain and inflammation of the heel associated with plantar fasciitis. FX 635 provides individuals experiencing chronic heel pain with a non-invasive, efficacious solution to quickly improve their walking comfort and quality of life without surgery. While other lasers may claim to treat this problem, only the FX 635 has been market cleared by the FDA to treat plantar fasciitis. The regenerative powers of this low level laser technology can reduce inflammation and eliminate pain in the plantar fascia in only a matter of weeks and return you to an active life once again. 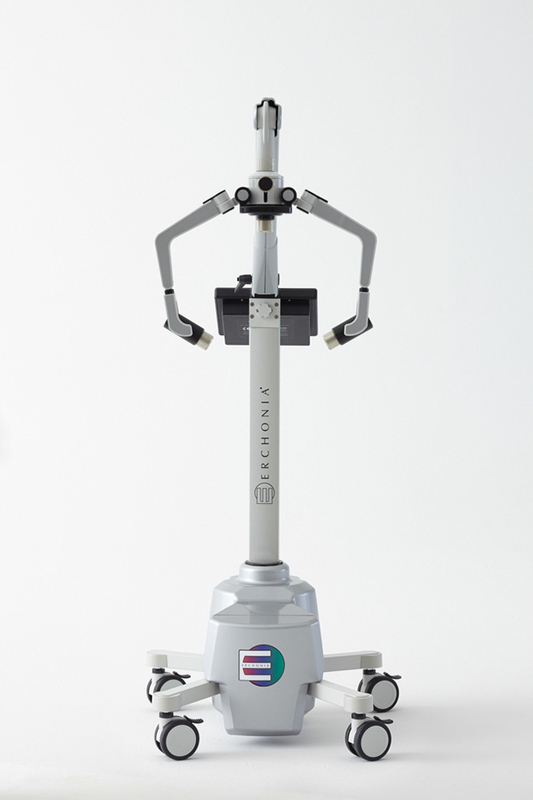 The FX 635 offers three lasers that work together to relieve pain and reduce inflammation. You just lie back, relax and let the FX 635 do the rest. Your pain is gone in just weeks. Ask your doctor if FX 635 is right for you. Erchonia was founded in 1996. Our commitment to the advancement of Low Level Laser Therapy (3LT®) through clinical research has transformed Erchonia into a world leader in the field of regenerative 3LT technology. The integrity, quality and commitment to our founding principles are evident in the rigorous process we follow to take each hypothesis from concept to viable, administration-approved product and treatment method.